Polygamy and the scourge of AIDS have created problems for the women of Uganda. Often, vulnerable women are left as the sole providers for multiple children—with little or no resources to provide for those in their care. The Vine works with the Office of Rural Development in Kamuli to provide training, support, and funding for several exciting projects. 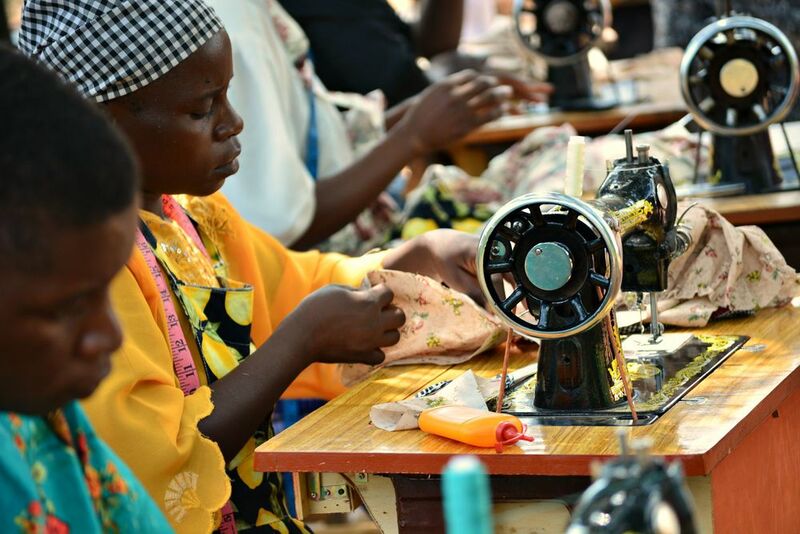 The Vine’s primary role is teaching women to be self-sustaining and confident in her ability to function within the Ugandan economy as she provides for the needs of her family. We offer small business loans to help women get started on projects they are committed to. These loans are monitored and governed by our staff as we provide encouragement and accountability for women who need a boost. Some of our women have joined together to buy livestock that can provide sustenance for their families; while others invest in products to sell. Some have even opened up their own restaurant! 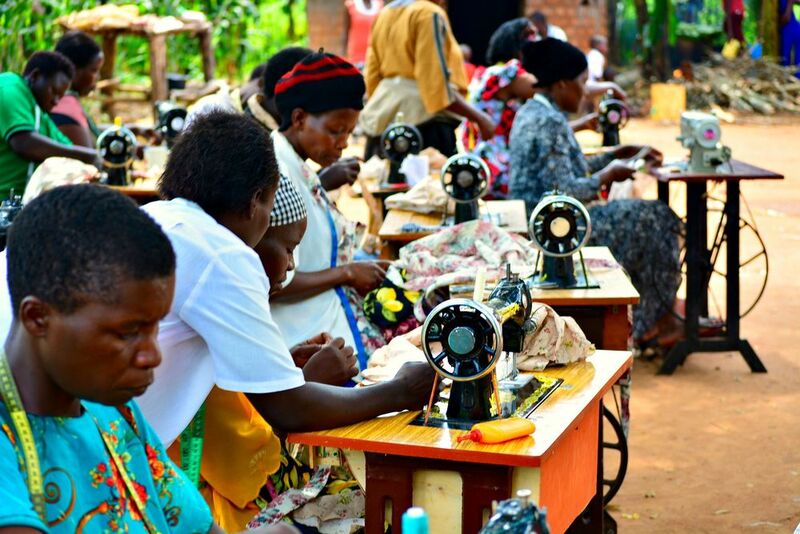 The Vine also provides a way for women to earn a daily wage by hosting annual sewing camps led by our Master Seamstress Miss Angela. 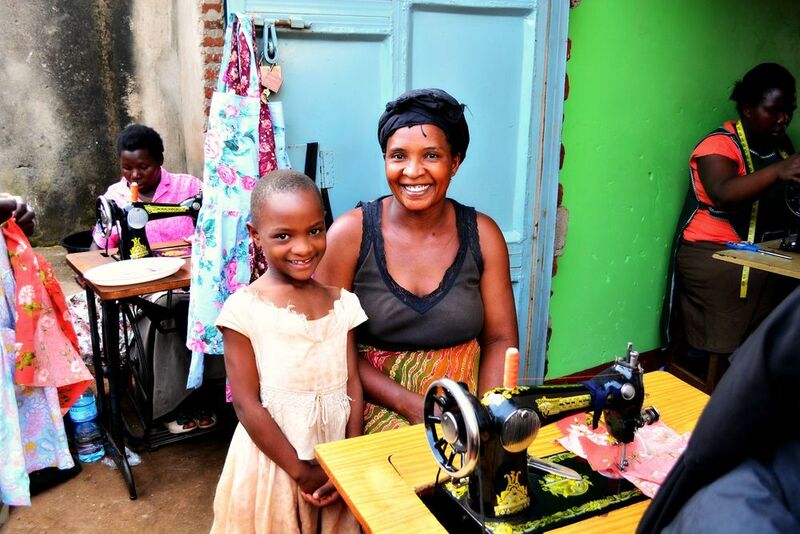 Angela is a local tailor that runs a dress shop in the heart of Kamuli. In partnership with The Vine, Angela trains our women to produce the “Mommy-and-Me” aprons—our trademark product sold in the United States. SUPPORT the PROJECT PERIOD campaign today! Click here! $1.00 / day is the average wage for a Ugandan. i want a mommy & me apron!